Pregnancy and eye are more interconnected than I thought. I wrote this article out of intention to get myself fully prepared for my wife if she gets pregnant in the future. And God how glad I was to have dig in on this topic. Pregnancy affects nearly all parts of a woman’s body in some way, and of course, the eyes are of no exception. Most of these changes happen due to change in hormones. 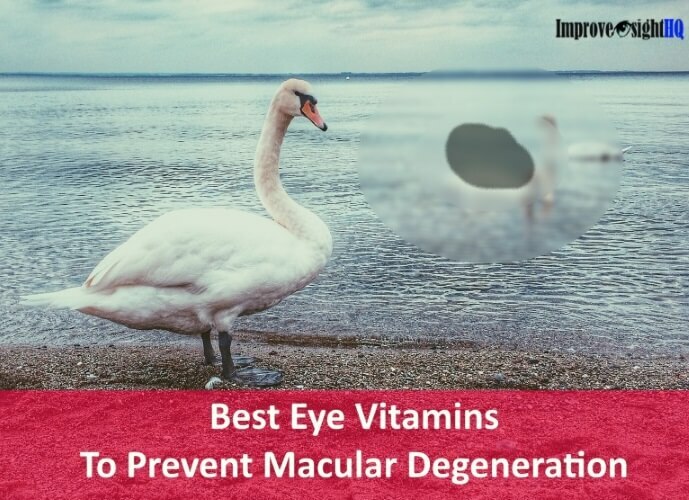 However, while most of the ocular side effects of pregnancy are temporary, some might be masking serious problems which have to be dealt with immediately. If you are experiencing vision or eye-related changes, the best bet is to consult your obstetrician and eye doctor. Below are 8 common vision changes during pregnancy. One common complaint among pregnant women is blurry vision during pregnancy. Some of them got worked out and assumed that their eyesight is deteriorating. Actually, this is not the case and might not be something to be alarmed of. It is common and normal for a pregnant woman to experience blurriness and changes to her vision prescription throughout pregnancy. The cause? Fluid retention - a common side effect of pregnancy. Like how fluid retention causes swollen ankles and bloating to frequently occur, the cornea may swell from excess fluid accumulation during pregnancy. 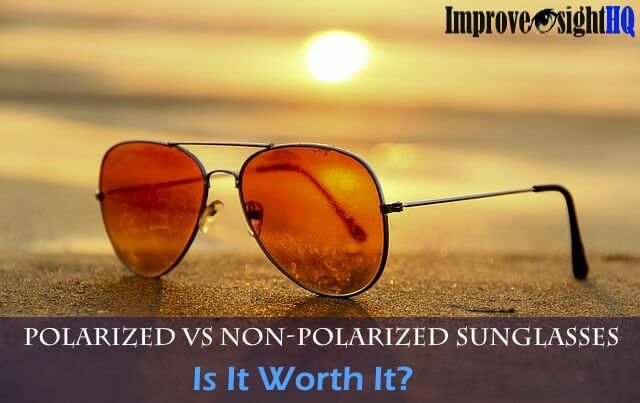 This changes the shape and the size of the cornea microscopically and causes a shift in the vision prescription. Fortunately, these changes usually reverse back to normal after giving birth or you start breastfeeding. Check with your doctor first to see if there is any underlying causes other than fluid retention. If you are healthy and the changes do not bother your life too much, you can just ignore it. But if it alters your vision significantly, talk to your doctor and consider getting a pair of cheaper new glasses or disposable contact lens with the updated prescription to help you through the pregnancy period. As the change in vision is temporarily, please don’t consider going for LASIK. It is costly, irreversible and has several potential complications. About 1 in 4 pregnant women who wear contact lenses find their lenses become dry and uncomfortable during pregnancy. Even if they have worn them for years. During pregnancy, the temporary swelling alters the shape of the cornea. Those contact lenses that fitted comfortably before becomes uncomfortable due to the change in the corneal curvature. Also, the swelling of the cornea may result in edema which may cause the cornea to become irritated more easily. When you are affected by the temporary corneal swelling, most doctors will advise you not to wear contact lenses during your pregnancy. So, if you are an avid contact lens wearer, make sure you have a good pair of glasses to backup during your pregnancy. It is very common for pregnant women to experience dry eyes. The changes in hormones can affect tear production causing irritation and discomfort. 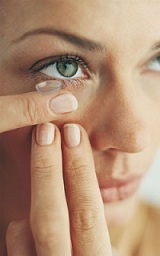 Some women stop wearing contact lenses during pregnancy as they become too uncomfortable due to the lack of tear flow. You can use artificial tears to lubricate your eyes and provide comfort, but ask your doctor which ones are safe to use during pregnancy. If you wear contact lenses, switch to glasses for the time being as contact lens increases evaporation rate of your tears. For more natural ways to ease dry eyes, check out my article on Remedies for dry eyes. This is one of the more dangerous changes between pregnancy and eye. If you have diabetes, you are susceptible to the development or causing a rapid increase in the progression of diabetic retinopathy during your pregnancy. Diabetes is a condition in which your blood sugar level is too high because your body can’t store it in properly. High sugar level in blood can cause damage to the tiny blood vessels which supply the retina in the eye. 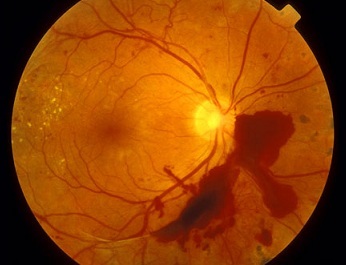 This damage may result into abnormal growth of new blood vessels along the retina causing diabetic retinopathy. People who have diabetic retinopathy, experience blurred vision and in some cases, significant vision loss and even permanent blindness. Gestational diabetes is a form of diabetes which a woman might develop when she is pregnant. This type of diabetes affects roughly 2 percent of pregnant women and it occurs if the woman’s body cannot produce enough insulin to meet the extra needs of pregnancy. About 95 percent of gestational diabetes cases, the blood sugar returns to normal after giving birth. However, women who develop gestational diabetes are at higher risk of developing type 2 diabetes later in life. If you have any type of diabetes (type 1, 2 or gestational), you should have at least 1 thorough eye examination during pregnancy. 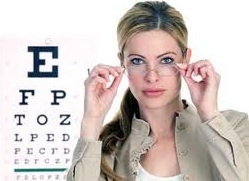 Get your eyes examined more often if your situation allows, especially if your blood sugar levels are not stable. Control your blood sugar levels at all cost, safely. Blood pressure is the amount of force exerted by the circulating blood against the walls of the arteries. Women who are pregnant can be affected by two types of hypertension (high blood pressure). Chronic hypertension where the mother already had high blood pressure before pregnancy and gestational hypertension where the mother develops high blood pressure during pregnancy. Women who are overweight are more likely to get gestational hypertension. Gestational hypertension is usually mild and probably won't cause any obvious problems for you or your baby. However, having either pre-existing hypertension or gestational hypertension does mean you are more likely to develop preeclampsia. Preeclampsia is a potentially serious problem that occurs in 5 to 8 percent of pregnancy. It may manifest as blurry vision and can cause retinal detachment, resulting in loss of vision. Look out of indicators of a detached retina such as sudden increase of floaters or a gray veil that moves across your field of vision. Detecting retinal detachment early can save your vision. Therefore it is important to attend all your antenatal appointments, as your doctor will monitor your blood pressure and urine (signs of protein indicates preeclampsia) closely. If you have either type of hypertension, your doctor may prescribe drugs to lower your blood pressure. Keep your blood pressure within safety level as untreated preeclampsia can progress to eclampsia, a life-threatening situation for both mother and baby. If you experience tunnel vision, it can be the result of a benign tumor called pituitary adenoma. The pituitary gland, also known as the ‘master gland’, is a pea-sized gland which is located at the base of the skull between the optic nerves. It is responsible for producing many types of hormone in the body. During pregnancy, these hormones are secreted in higher levels. When the hormone levels rise, an over secretion of hormones can form the tumor. As the pituitary adenoma grows near to the eye, you might experience your peripheral vision being blocked resulting in tunnel vision. Even though this condition is rare, be sure to inform your eye doctor when you experience episodes of tunnel vision during your pregnancy. Treatment will depend on the presence and type of hormones being secreted. Talk with your doctor about the best plan for you. 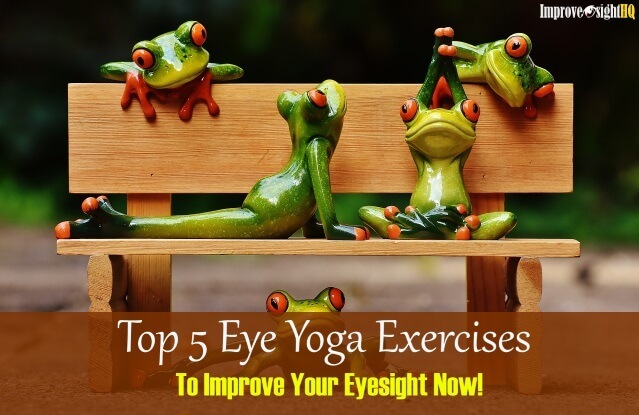 This probably one of the more beneficial changes between pregnancy and eye. 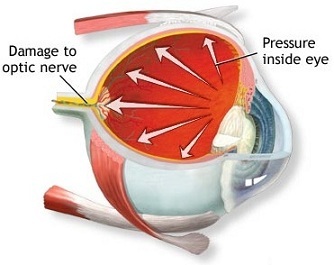 Glaucoma is a condition where the optic nerve is damaged due to highly elevated pressure in the eye. This disease is second greatest cause of blindness. Fortunately, pregnancy can help mother with glaucoma. During pregnancy, your eye pressure tends to decrease, possibly due to the body's hormonal changes. 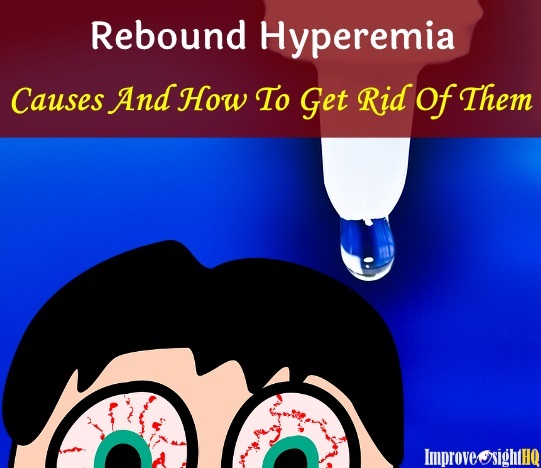 This may be beneficial to some women as pre-existing symptoms of glaucoma tend to improve. However, there is some concern of fetal risk from glaucoma medications. Therefore women who are on glaucoma medications should consult with their doctor even before becoming pregnant. After giving birth, it may be best for the mother not to breastfeed her baby if she must continue on her medication. 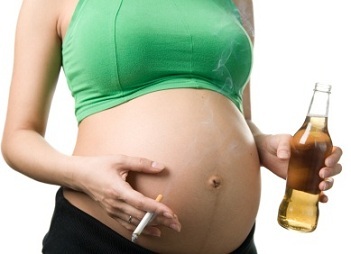 Most people are well aware that the use of tobacco products, drugs and alcohol during pregnancy poses significant risks to the fetus. 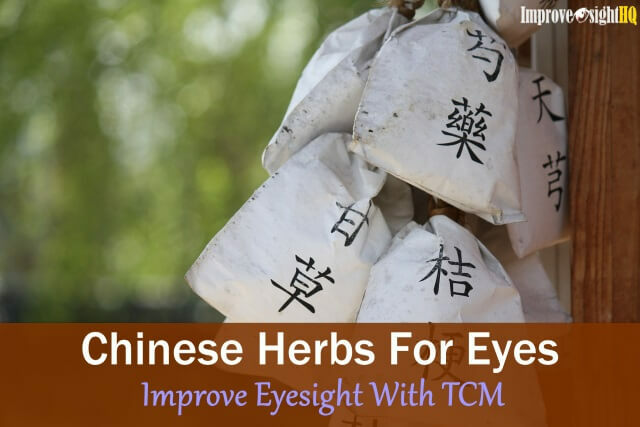 But most do not know that these substances also increase the child’s risk of higher vision prescriptions (such as nearsightedness and farsightedness), strabismus and amblyopia. I do understand that these things have addictive properties that make quitting difficult or seemingly impossible. But are you sure you want to jeopardize the life of your child and cause them physical problems which they will carry on into their adulthood even after you pass away? There are many programs and treatment options in our society and I am sure your doctor and obstetrician are glad to assist you in quitting these harmful addictions. In the end, your child has no one but you to depend on.